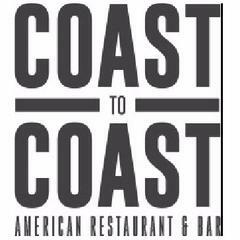 Chef - £8.00 to £10.00 per hour<br><br>To find amazing hospitality and great American food, you could travel the 3,142 miles of Lincoln Highway or save yourself a few bucks and come on in to Coast to Coast and see what we’ve found!<br><br>We are growing far and wide. Why not join the journey?<br><br>We are looking for Chef’s to join the expedition. Can you inspire and motivate your team? You will be supporting the Kitchen Team in creating a dining experience for guests that you can be proud of. You should be a self-motivated Chef with a passion for all things American, from amazing cocktails to fabulous chicken wings.<br><br>We need you to be a leader to guide the way for your team and support the management team. <br><br>What’s in it for you?<br><br>- Highly Competitive salary <br>- Personalised training plan<br>- 33% discount in our brands<br>- Contributory Pension<br>- Invest in our Sharesave<br>- Childcare Vouchers<br>- Staff meals on duty <br><br>Come and join the ride! Coast to Coast - Norwich is posting their hospitality jobs on Harri.